Will Sai Pallavi break Bollywood records? Will Sai Pallavi break Bollywood records? Will Sai Pallavi break Bollywood records? Hyderabad, Apr 19: The magic of Sai Pallavi and Prabhu Deva continues to create ripples on YouTube. Video of Rowdy Baby song has surpassed 400 Million views and is now posing a challenge to the Bollywood's highest viewed videos of all time. Only ten videos from Bollywood were able to cross 400 Million mark till now! 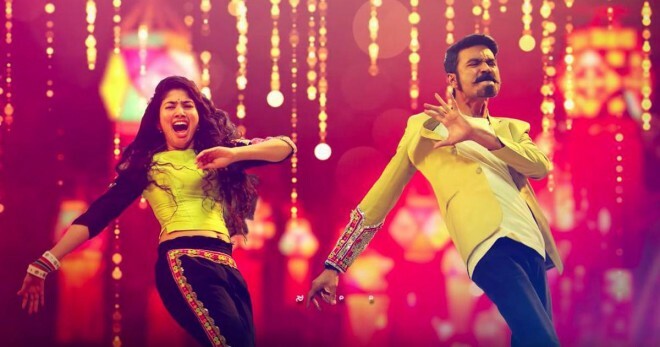 Yuvan Shankar Raja's peppy tune and Prabhu Deva's dance moves should get the credit, but it is Sai Pallavi's fluid and graceful dance moves that made the viewers abuse the repeat button on YouTube.